Review this card now and let others know your thoughts. 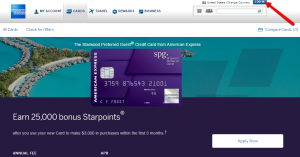 Besides providing a generous rewards system and signup bonuses, the Starwood Preferred Amex Credit Card also offers you a facile online platform to manage your account. Whether you are already a member or a new user, check out this page for details on how to log in, retrieve your credentials and set up an account. 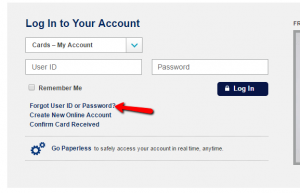 Step 1: Visit the American Express homepage and press the ‘LOG IN’ button in order to open the login page where you can introduce your user ID and password. 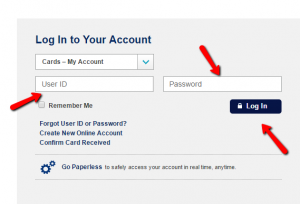 Step 1: Visit the American Express login page and click on the ‘Forgot User ID or Password?’ button in order to open another page where you can enter your card details for retrieving/resetting your user ID or password. Step 2: Introduce in the boxes provided the 15 digit number on the front of your card and the 4 digit card ID and click on the ‘Continue’ button. Step 3: In the next pages you will have the possibility to retrieve your User ID, and, after verifying your information, to update your password. 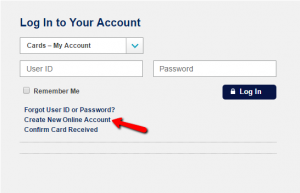 Step 1: Navigate to the login page and press ‘Create New Online Account’ to open another page where you can enter details about your card in order to set up your account. 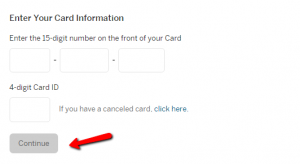 Step 2: Enter in the appropriate boxes your card details, including: the 15 digit card number and the 4 digit card ID. Press the ‘Continue’ button to proceed. Step 3: Once you introduced this information you will be asked to select your account preferences (chose a username, password and set up the security questions) and, after reviewing the card’s benefits, you will be able to finalize your account activation. Starwood Hotels and Resorts Worldwide, LLC belongs to Marriott International. It was one of the world's largest hotel companies that owns and operates hotels, resorts and spas. Starwood Hotels and Resorts own and manage over 1,200 properties and employ 180,400 people. Some of the brands are St. Regis, W Hotels, Westin, Sheraton Hotels & Resorts, Four Points by Sheraton Hotels, Aloft, Le Méridien, The Luxury Collection, Element and many others, in nearly 100 countries. Q: What is included in the Starwood Preferred Guest program? The Starwood Preferred Guest program is the hotel program designed for the most loyal customers, and it offers extraordinary experiences, rewards and recognition wherever you travel. What the program includes are exclusive benefits, like no blackout dates on Free Night Awards and rich rewards throughout distinguished hotel brands including Sheraton Hotels & Resorts, Four Points by Sheraton Hotels, Aloft, W Hotels, Le Méridien, The Luxury Collection, St. Regis Hotels & Resorts, and Tribute Portfolio – and more than 1,169 SPG Hotels worldwide. Q: What is Free Nights benefit? Starpoints that were achieved by purchasing using Starwood Preferred Amex Credit Card can be redeemed for a Free Night Award which includes the cost of a standard room and applicable taxes. Points required for a free night range from 2,000 Starpoints for a weekend night in a standard room at a Category 1 to 35,000 Starpoints for a high season night in a standard room at a Category 7.